Tampa Bay Crime Report by Leigh Clifton: DAVID PERRY DENIED BAIL...ARRAIGNED ON FELONY PAROLE VIOLATION.. NOW IN STEUBEN COUNTY JAIL. DAVID PERRY DENIED BAIL...ARRAIGNED ON FELONY PAROLE VIOLATION.. NOW IN STEUBEN COUNTY JAIL. 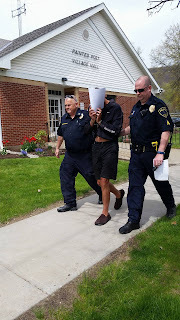 David Perry, the only suspect in the probable murder of Indian Rocks police cadet Kelly Rothwell, was arraigned today at the Painted Post Police station on charges of felony parole violation and criminal impersonation. 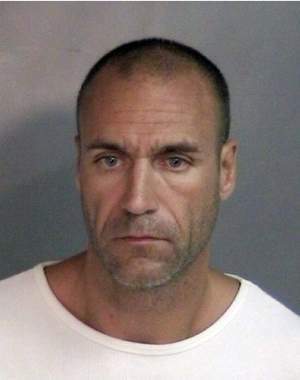 Perry, who was on parole for felony fraud and grand larceny charges, was violated after he was found April 24th at 10:00 pm at the house of a woman in Painted Post Village that he had met on a dating website using the name David Jones. Coincidentally, one of his his daughter's married last name is Jones. Painted Post Village is in Steuben County; Perry lives in Elmira which is in Chemung County. The conditions of his parole are that he not leave Chemung county and check in the first Wednesday of every month with his parole officer Eric Winkky. Perry was also driving up to Corning over the summer and into the fall, going to the Corning YMCA to work out almost daily as well. Either Mr. Winkky wasn't paying close enough attention or decided to look the other way, but Perry has been violating his parole since last summer. The woman Perry has been dating for a few months had posted a photo of herself with Perry on Instagram. Her friends saw it, recognized Perry and called her right away, telling her who Perry really was. She left her house with her child and went to the police. Police arrived and removed Perry from the house. Police called her a "victim" and she is not a suspect. Perry was denied bail and as of right now he is at the Steuben County jail. When he was last there Perry got into a nasty fight with another inmate and broke the guy's nose. Lets hope he has to go back to Clinton to finish out the 3 1/2 years left on his too short sentence. KELLY ROTHWELL IS STILL MISSING AND SHE DESERVES JUSTICE. Some of the information for this post was provided by the NBC affiliate in Elmira with my thanks.